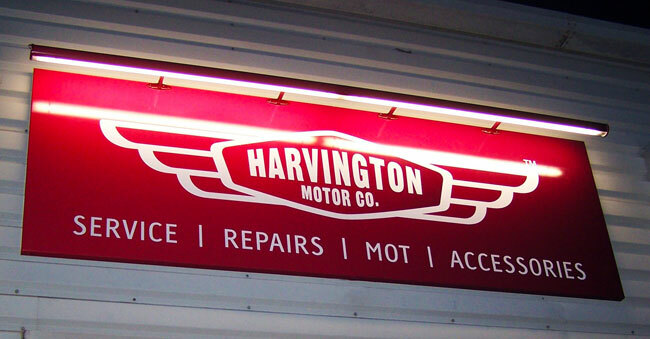 Illuminated signs are a great way to grab attention for your business. 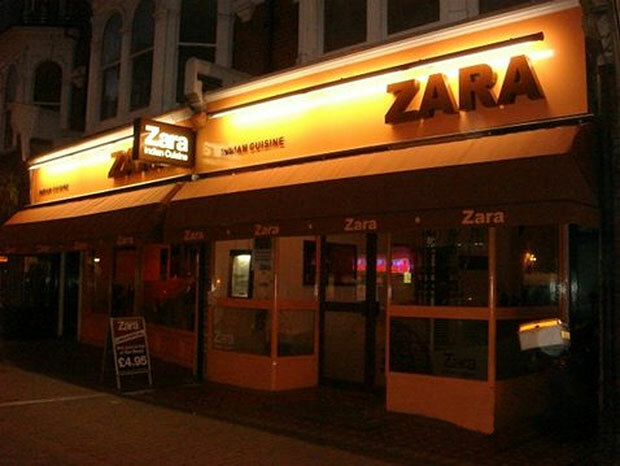 We have supplied illuminated signs for high street stores and large corporations across the UK, as well as smaller local businesses. 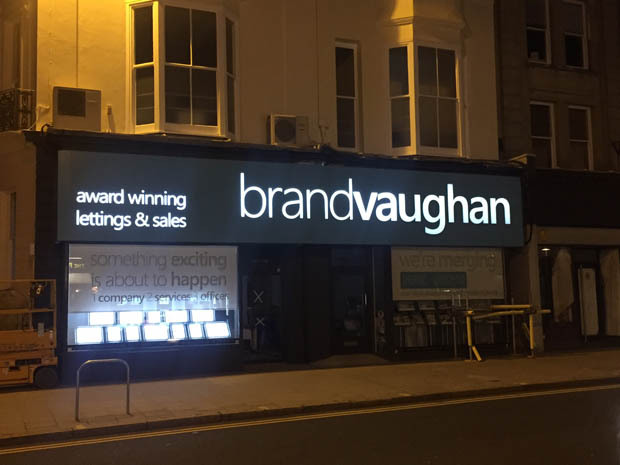 This gallery showcases a range of illuminated signs, including lightbox signs, built up illuminated letters and other types of illuminated signs which we've installed across Sussex and the UK. 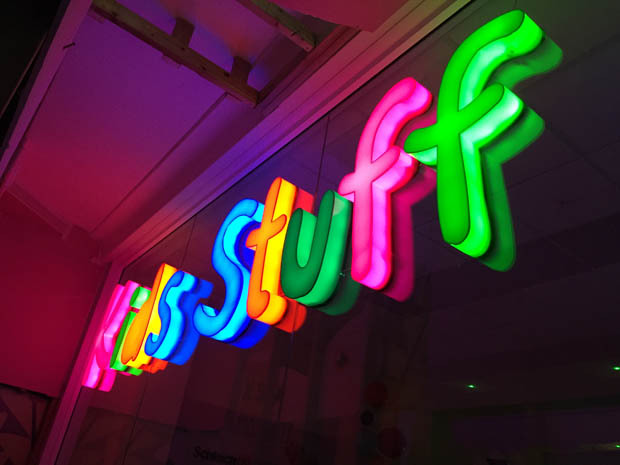 These are built up letters, internally lit by LED's, mounted onto a high quality powder-coated sign-tray. 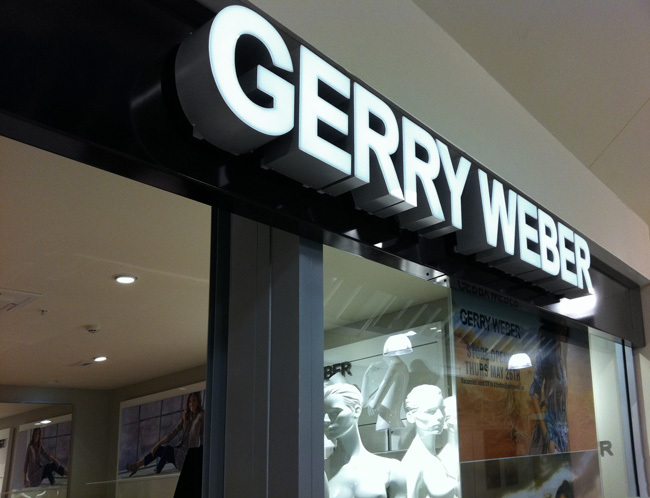 This is for Gerry Weber, an international brand seen on high-streets across the UK and Europe. 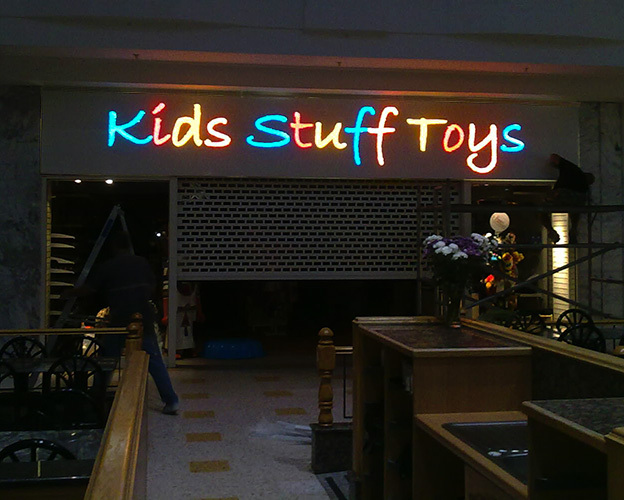 We have supplied many such signs for large retail outlets. 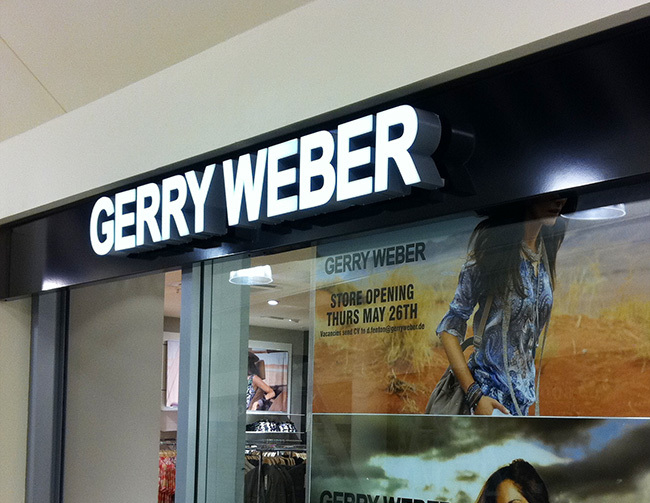 Gerry Weber is an international high street brand, seen throughout Europe. 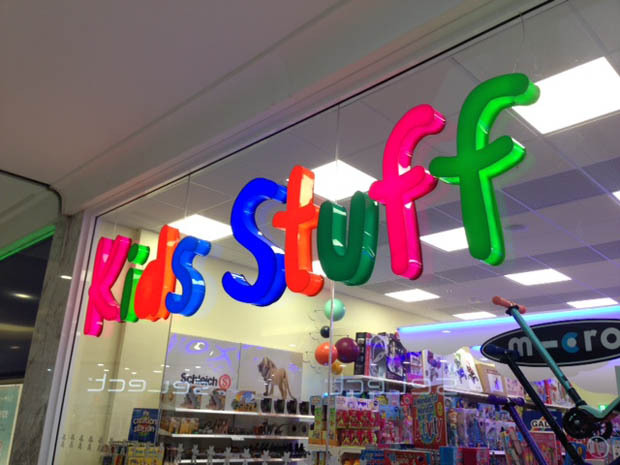 This is just one of their hundreds of stores, based in Horsham, with signage supplied and installed by Signtek. 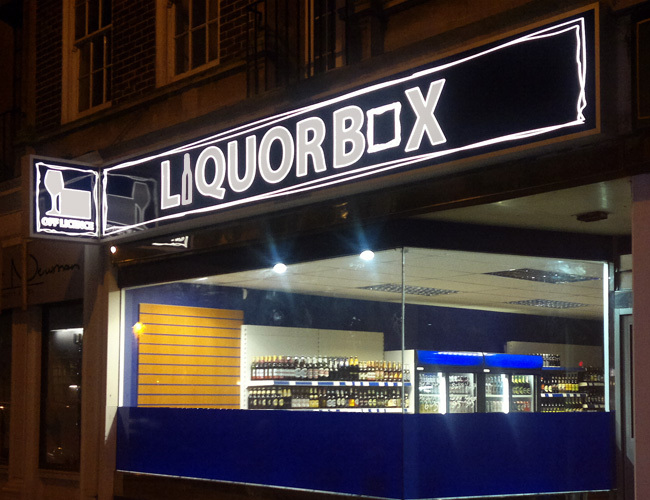 This is a lightbox for a new off licence in Eastbourne. 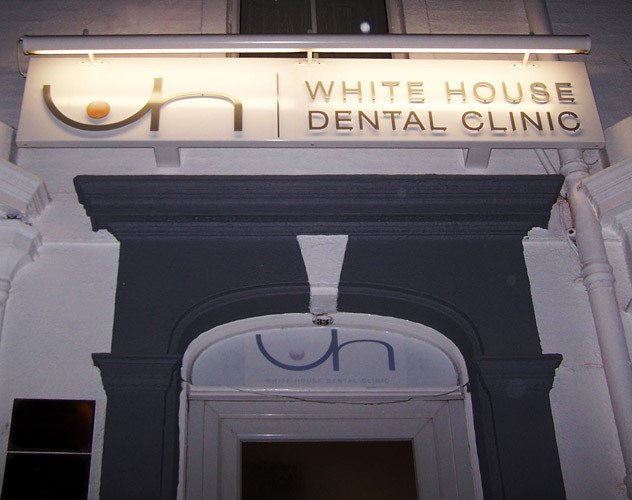 This is a top quality lightbox sign, plus an illuminated protruding sign. These signs are in Terminus Road, Eastbourne, and look absolutely superb. This is a powder-coated signtray with trough light above. 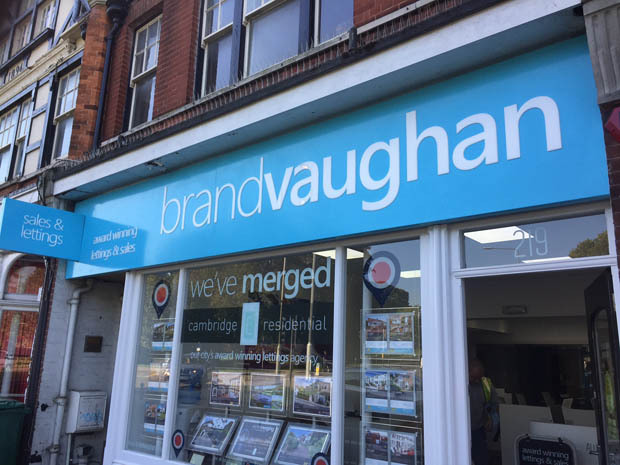 This sign was fitted in Polegate for a terrific new estate agents - they're over the moon with their new sign! We have fitted many more signs in Polegate. 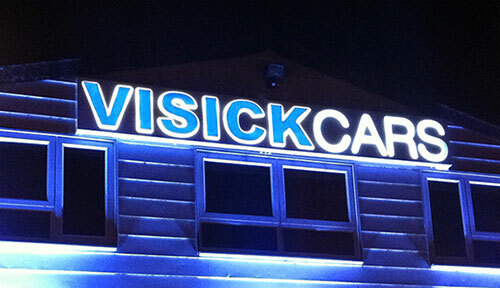 This is an illuminated sign-tray for Eastbourne's Visick Cars. Photos do not do this incredible sign justice, it looks truly impressive at night. 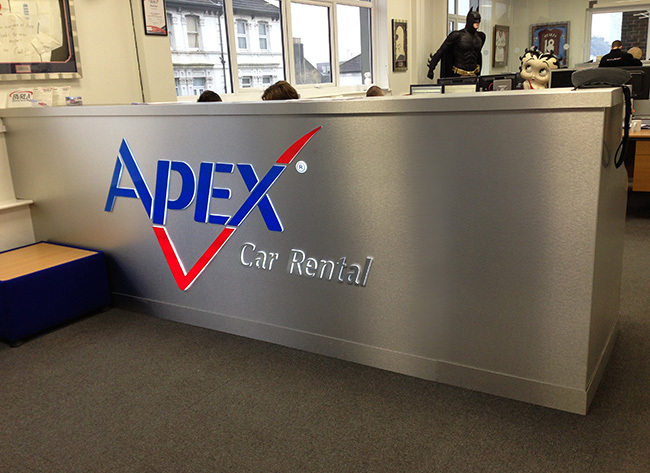 We designed, manufactured and installed this bespoke illuminated reception desk for Apex Car Rental. With a brushed aluminium finish and internally illuminated logo, this completely transforms their reception area. 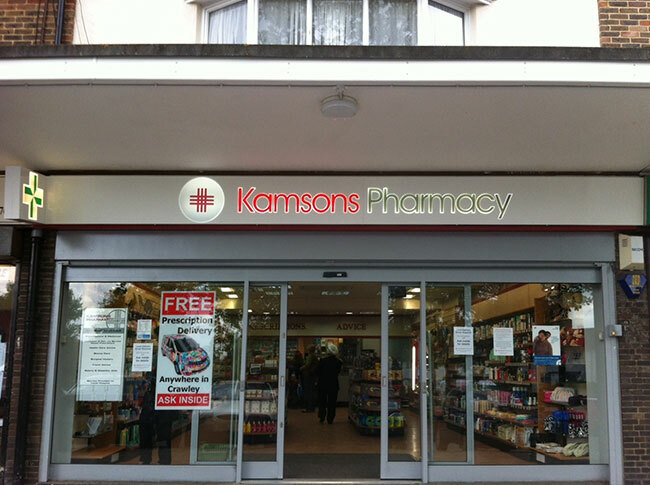 We supplied and fitted this illuminated sign tray with pushed through letters for Kamsons Pharmacy. 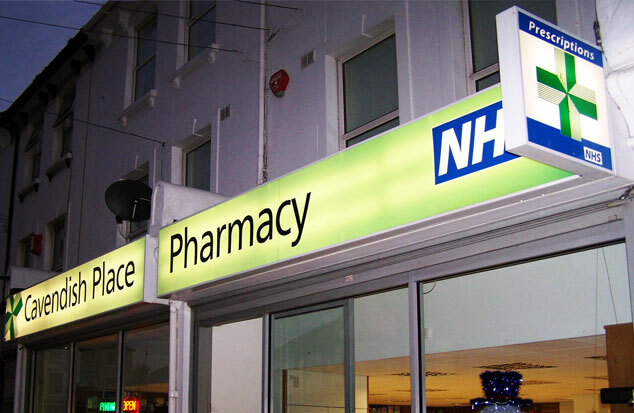 We have fitted many signs like this for this large chain of pharmacies. 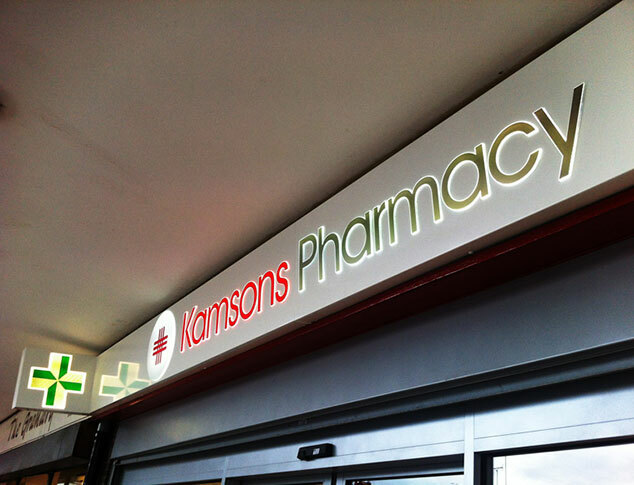 We supplied and fitted this illuminated protruding sign with pushed through letters for Kamsons Pharmacy. They have pharmacies across Sussex. This is a seriously high-spec sign! Illuminated sign-tray with router cut back-lit perspex letters. 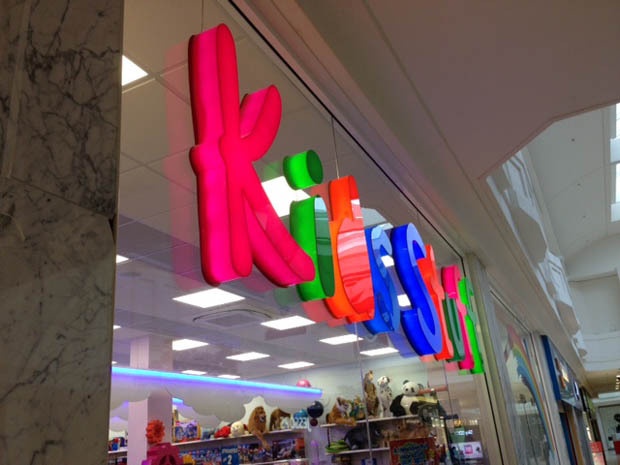 Located in the Arndale Centre, Eastbourne, our customer was over the moon with the result. 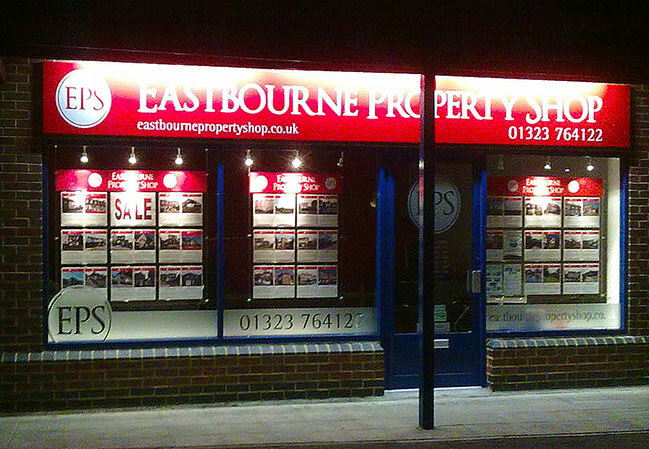 This illuminated sign for Eastbourne Property Shop really shines. This is a trough light above a sign-tray, and as you can see it really stands out. 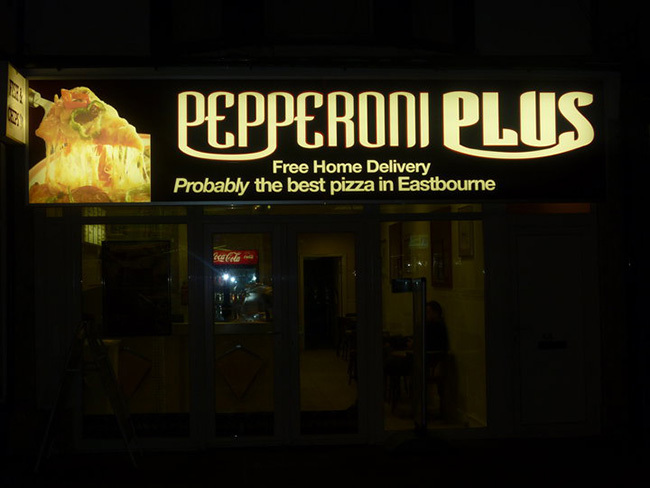 This illuminated lightbox sign for Eastbourne's Pepperoni Plus never gets missed! 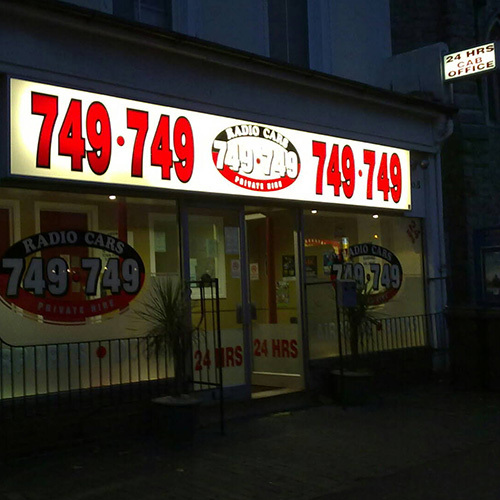 This lightbox sign for Eastbourne Taxi firm Radio Cars is impossible to miss. 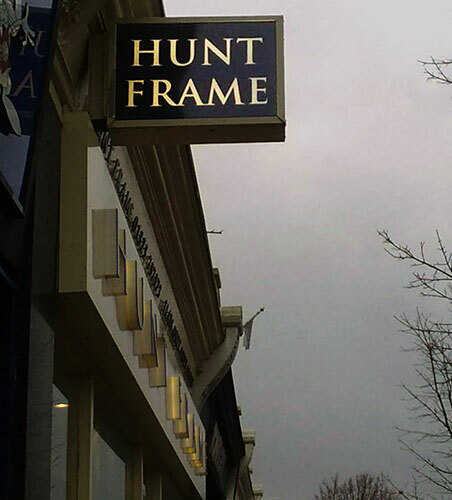 This is a protruding lightbox sign, fitted for Eastbourne's "Hunt Frame", a successful estate agent. 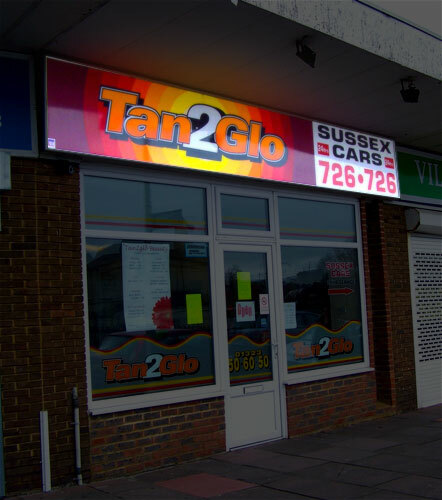 We have fitted lightbox signs like this across East Sussex. 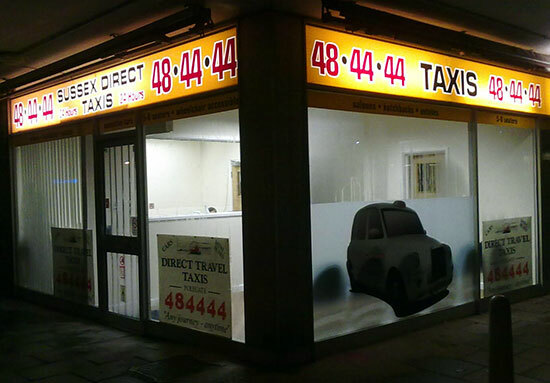 This lightbox sign was fitted for a new taxi company based in Polegate, East Sussex. 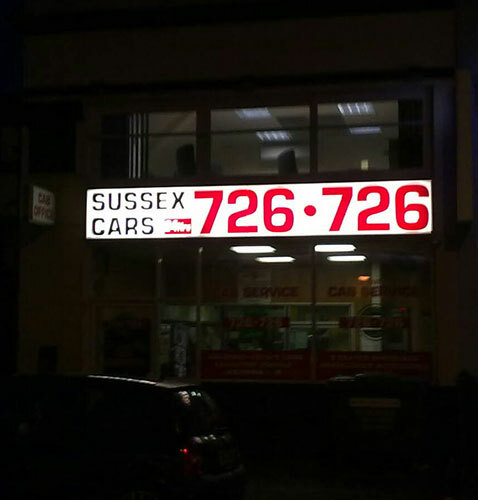 This is a lightbox sign for Eastbourne's Sussex Cars. 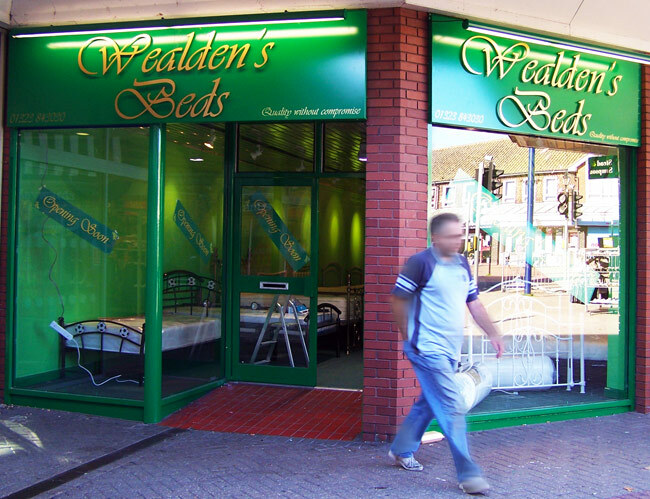 Lightboxes are a great way to grab attention to your business. 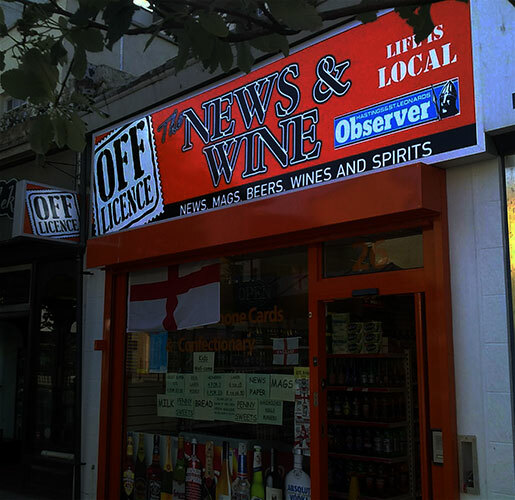 This is a huge lightbox sign for an off licence based in Hastings, East Sussex, with a small protuding lightbox sign as well. It looks spectacular! 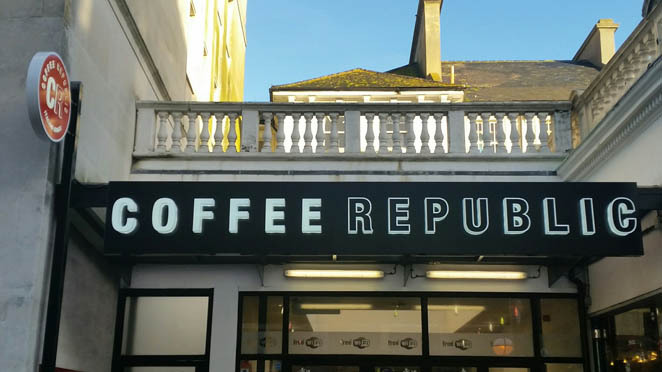 This is a beautiful sign in Eastbourne, with two sets of built up letters and trough lights, plus a protruding lightbox. 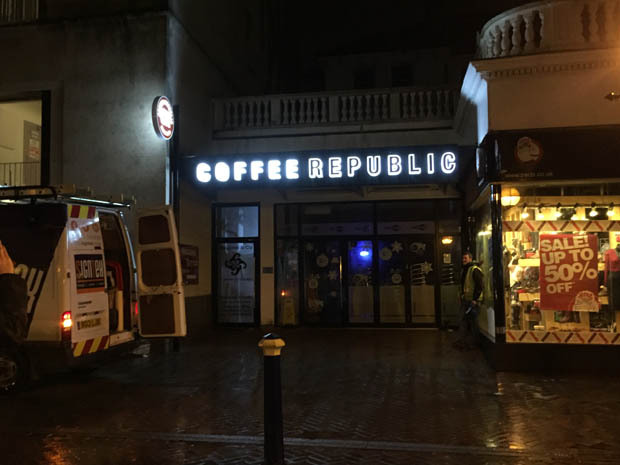 This is a large illuminated light-box sign in Hastings, East Sussex. 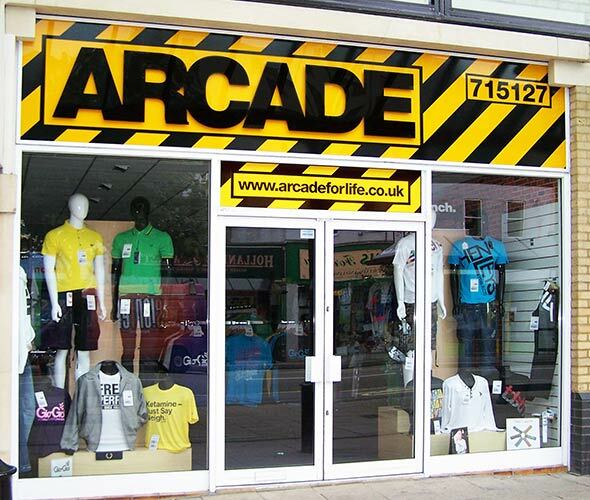 We have fitted the whole chain of Arcade shop signs across Sussex. 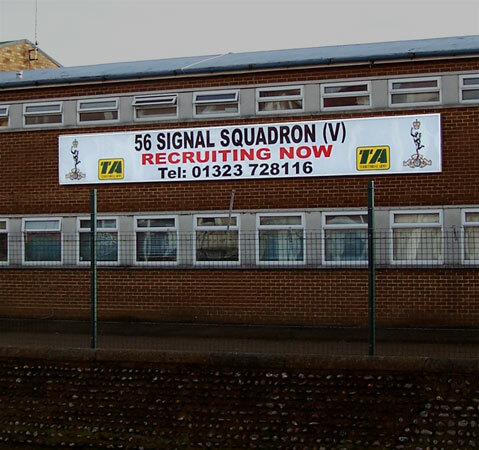 They use Signtek for their corporate signs because we consistently provide excellent, fast and competitively priced service. This is a giant illuminated sign in Eastbourne, East Sussex, for Seven Bingo. 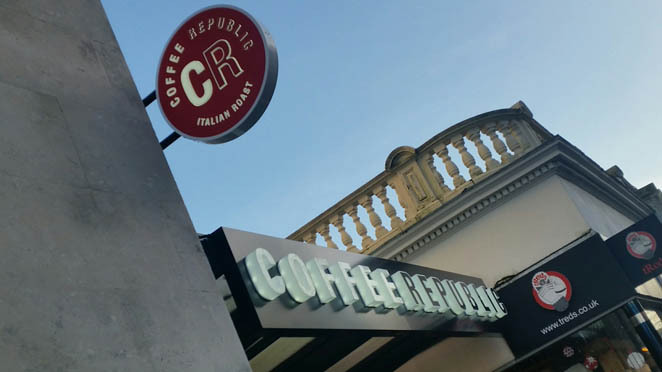 There is a huge sign-tray with a trough light, with digitally printed graphics and silver lettering, plus a HUGE protruding sign! 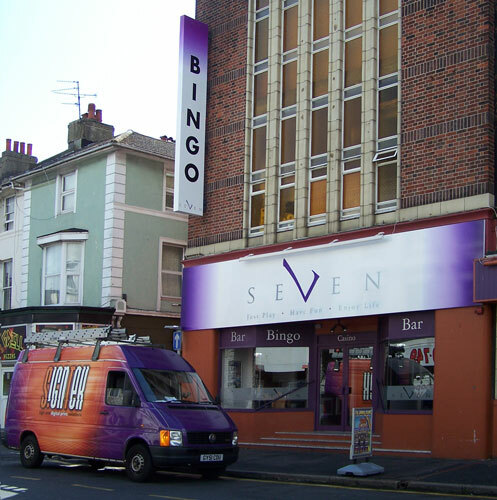 There are Seven Bingo halls around Sussex. 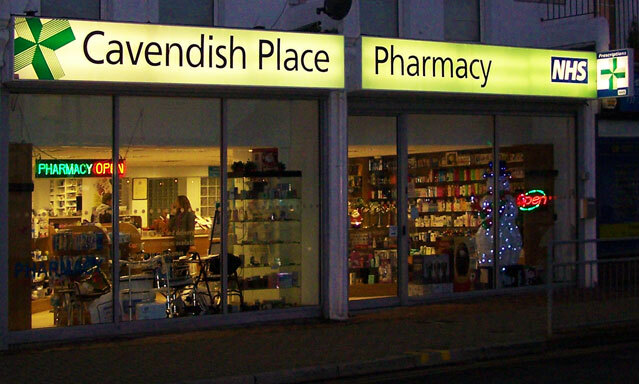 This is a massive illuminated lightbox sign in Eastbourne, for Cavendish Pharmacy. This sign is bigger than average, and really stands out well. These are two brilliant trough lit signs in the Harvington Business Park, Eastbourne. They look incredibly professional and stand out an absolute treat for this motor company. This is a brilliant trough lit sign-tray in the Harvington Business Park, Eastbourne. This was one of 2 signs we fitted for this company, and it looks incredibly professional and stands out an absolute treat. 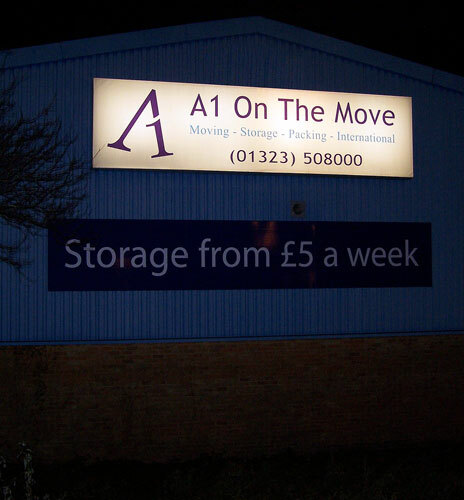 This is an illuminated lightbox sign for A1 on the Move, an Eastbourne based removals company. 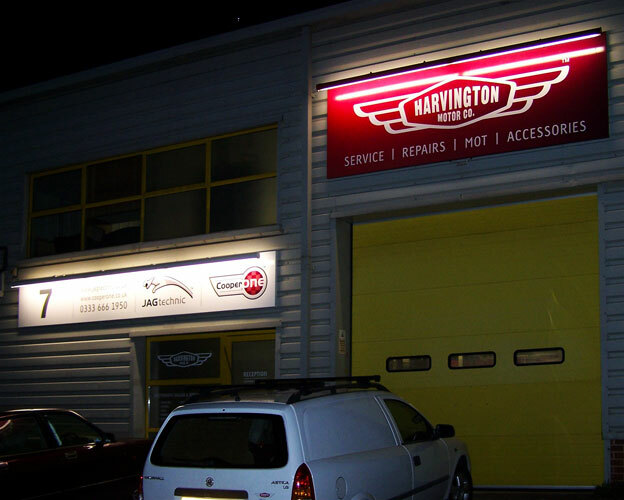 We fitted 2 massive lightbox signs for this company, amongst other signage. This is a trough light above a sign-tray, with perspex letters raised off. 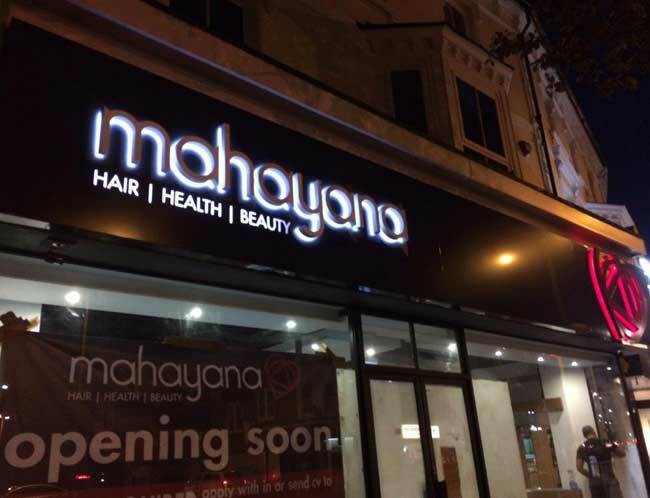 This sign was made and fitted in Eastbourne. This is a sign in Hailsham for a new bed centre. 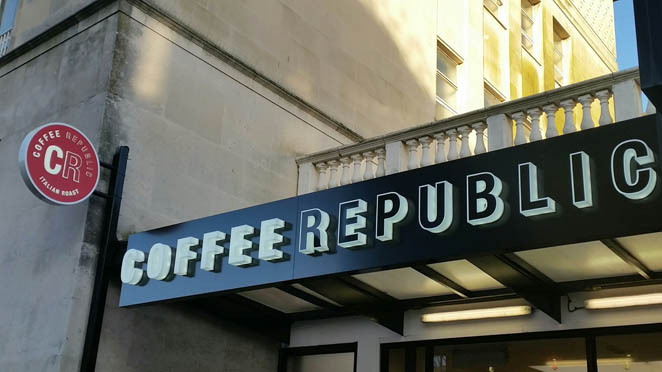 This is 2 sign-trays with trough lights above, plus gold perspex letters raised off. 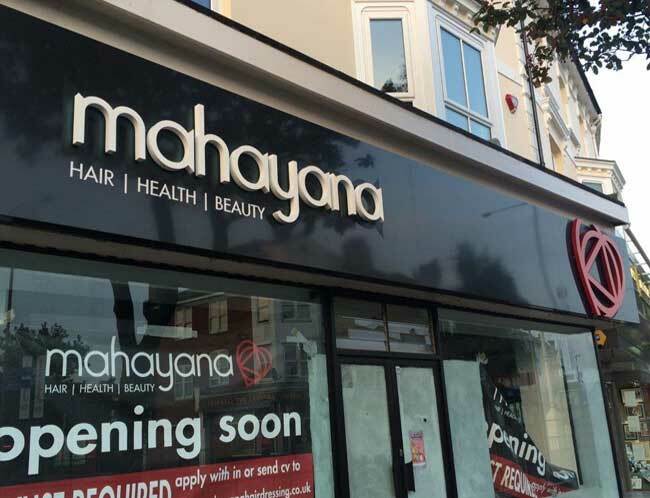 We have fitted many signs in Hailsham, and it was a pleasure to fit this one. This is a large size lightbox sign for the Territorial Army. This is a lightbox sign in Hampden Park. 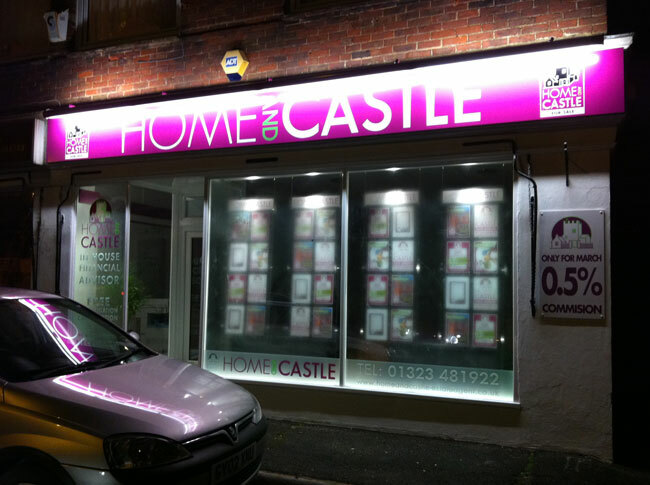 We have supplied many signs for companies in Hampden Park, and this brilliant lightbox is just one example.